FISH TAG – WINE RUNDOWN! FishTag is a wonderful very fresh seafood restaurant on the Upper West Side. The great thing about the menu is that it is coded by wine types. The wine list had wines listed under categories and on the menu specified what “category” went with what dish/appetizer so we didn’t even have to think twice about what we were pairing our wines with – it was spelled out for you! But I am not a food critic my love is for wine, so onto the good stuff!! We started off with a sweeter wine that was very “florally” in smell and taste. 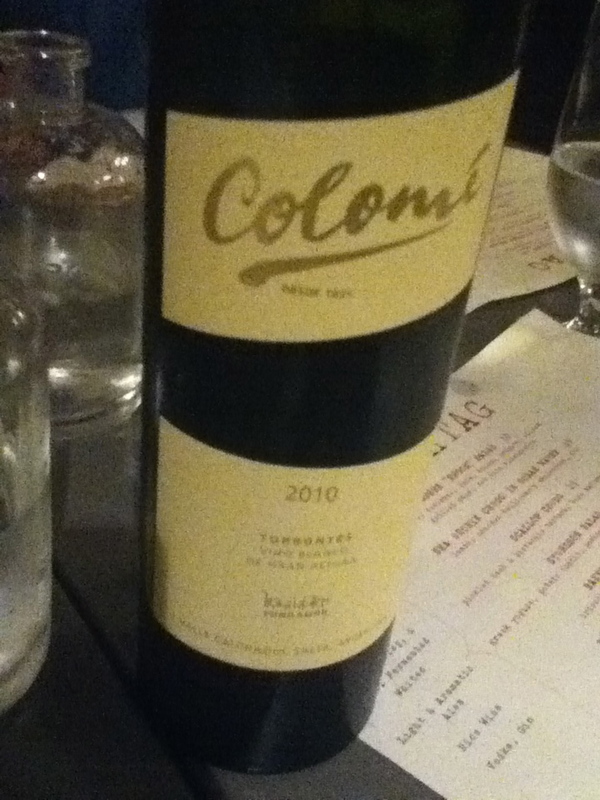 Bodega Colome Torrontes 2008, White Wine, Argentina, South America. It had a grapefruit, lemon, light mineral, lavender, and even a little honeysuckle taste to it which was pleasant to sip on with our assortment of cheeses prior to our meal. A very bright wine that you can only have a glass or two of. We then switched to something our palates would really react to, a white that was on the other end of the spectrum and provided a major shock value to our taste buds which we needed after the sweeter floral sipping wine. We enjoyed a 2009 Spyros Hatziyiannis Assyrtiko (Greece, Aegean, Santorini) which was a bolder wine and much more “minerally” so we really experienced a nice full bodied, more acidic wine to enjoy with our main course (fish, Lamb Burger, roasted salmon etc…) Not only did we enjoy this wine but our “sommelier” told a wonderful story of how grapes are grown in Santorini seeing as the climate is windy and hot! 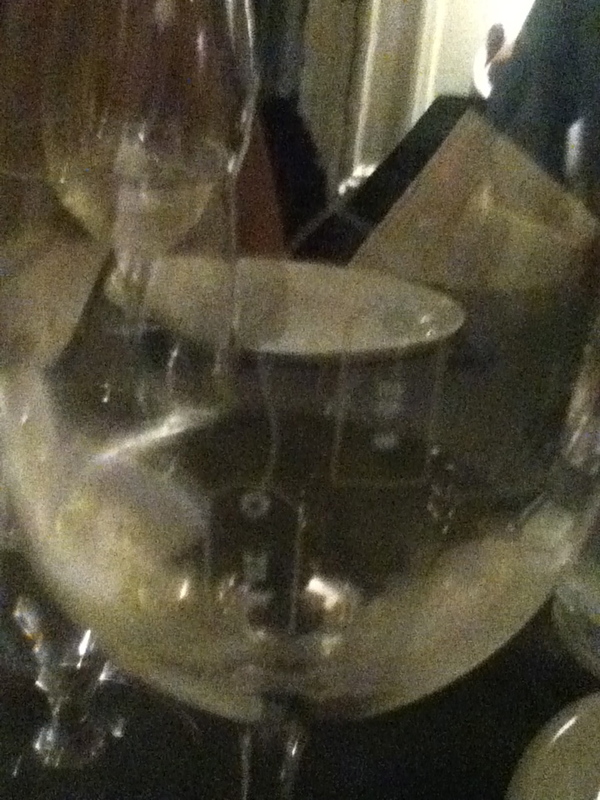 (Love the place but clueless when it comes to their wines!)! Oh ya and shout out to my greek momma – Demi! Dem – if you have other suggestions please share! Another “drink” definition I was made aware of that night (not at FT) was – SNAKEBITE – Half Beer/Half Cider..